You will love these carefully designed corbels made to reflect aged, antique and rustic beauty. They are constructed of quality hardwood, made to last. Use them to make charming shelves, decorate corners of entry ways, bookends, décor and more. Each bracket comes with pre-drilled hanging slots for quick and easy installation. Get an authentic vintage look for less. These corbels and brackets are hand-painted and distressed, for a true replication of antique worn corbels and brackets. Choose from a myriad of sizes, contours, colors and finishes to best fit your design ideas. 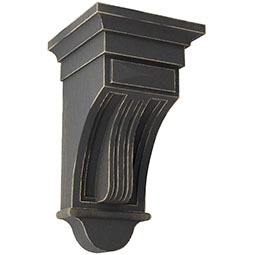 These beautifully crafted corbels are versatile enough for any space in your home. Made of solid wood and lightly distressed, they add just the right touch to farmhouse, rustic or French Country style. 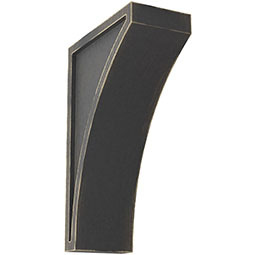 Use as decorative bookends, tabletop décor, or decorative shelf supports.